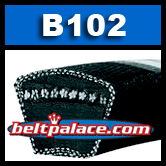 B102 Classical V Belt. 21/32" (5/8") W x 105 inches O.C. - B-102. 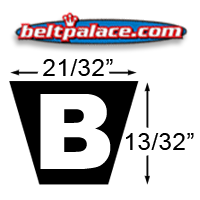 INDUSTRIAL V-BELT. B Section. Industrial V-belt for electric motors, fans, lifts, woodworking, textile industry, and more.